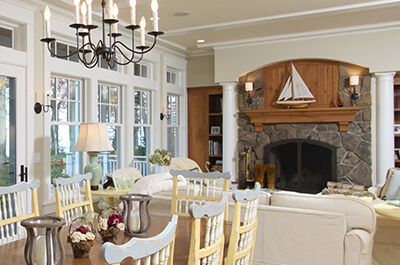 The homeowners wanted a shingle-style coastal cottage, one reminiscent of the homes they grew up with near Martha’s Vineyard. However, their dream came with a unique design challenge: create a residence that could serve as a quiet retreat for two, or as a venue for large family gatherings. The homeowners ultimately turned to AMDG to understand their needs and give them precisely what they wanted. 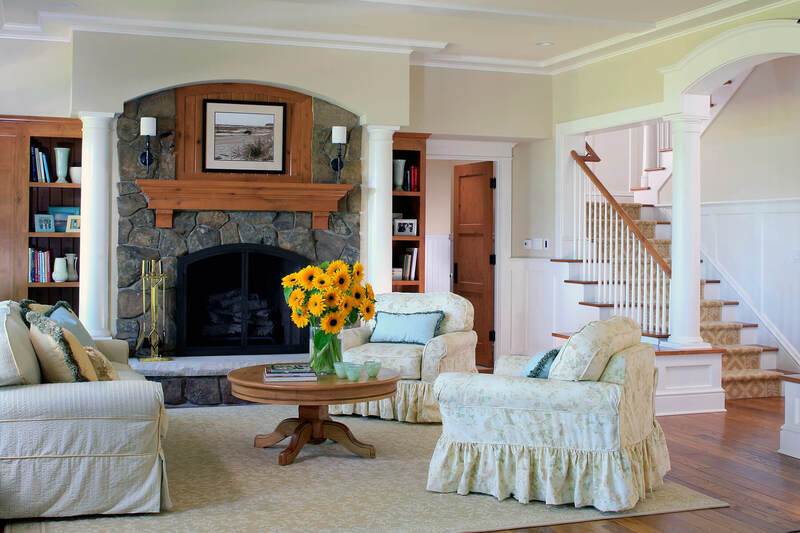 The natural flow from room to room allows large groups to effortlessly mix and mingle. This uninterrupted approach to design is echoed in the home’s cohesive shingle siding. While the flow of the home is seamless, design is punctuated by areas where people can sit, read, and enjoy the company of others. 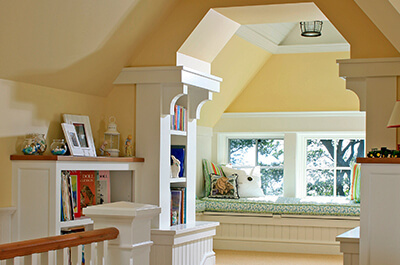 Bookcases double as benches, providing seating without the clutter of added furniture. 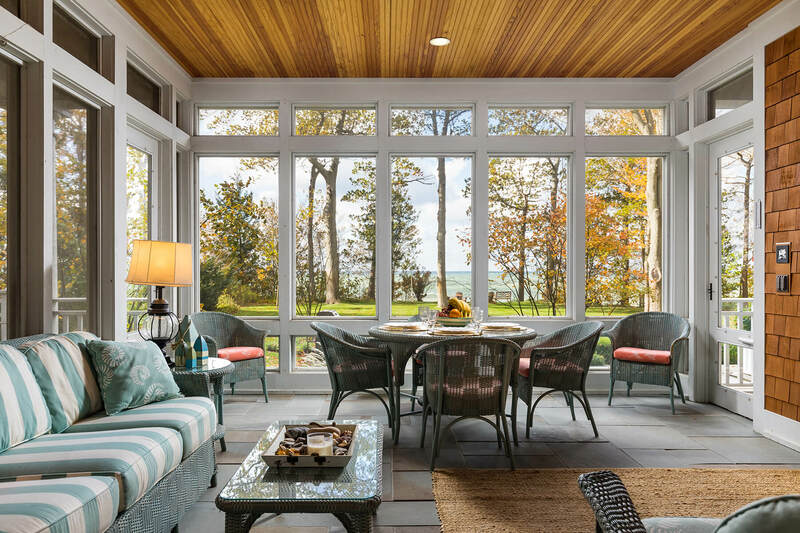 Living spaces are organized around views of Lake Michigan. This includes a main-level screened porch located off of the eating area and an upper-level exterior balcony. The cottage is located on a long, narrow site. To keep it from feeling pinched, design emphasizes the entry experience, offering a relaxed approach to the entrance, which then unfolds into a spacious living environment. As AMDG learned more about the couple, custom details made their way into the home. For one, it’s having a fireplace for warming after a day in the water. For the other, it’s a true working kitchen at the heart of the cottage that’s open to main living areas, allowing her to cook and spend time with company. Alone or with a houseful of guests, the shingle cottage is a retreat—a slice of the past recreated on Lake Michigan.